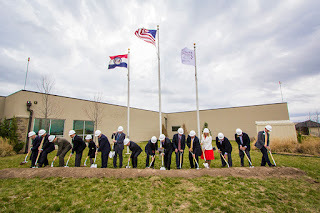 Joplin community leaders, government officials and University leadership proudly dug their shovels in during a groundbreaking ceremony for our second college of osteopathic medicine in Joplin, Missouri, on March 30. The event took place on the grounds of Mercy Hospital Joplin's former, temporary location, which was donated to serve as the home to the new medical school campus. KCU-Joplin represents the realization of a shared vision for the region; it is estimated the new medical school will have a $111 million economic impact on the Joplin community once fully enrolled. This vision was made possible through a collaboration among KCU, Mercy Hospital Joplin, Freeman Health System, the City of Joplin and philanthropic leadership from the surrounding community. KCU-Joplin will open in 2017. 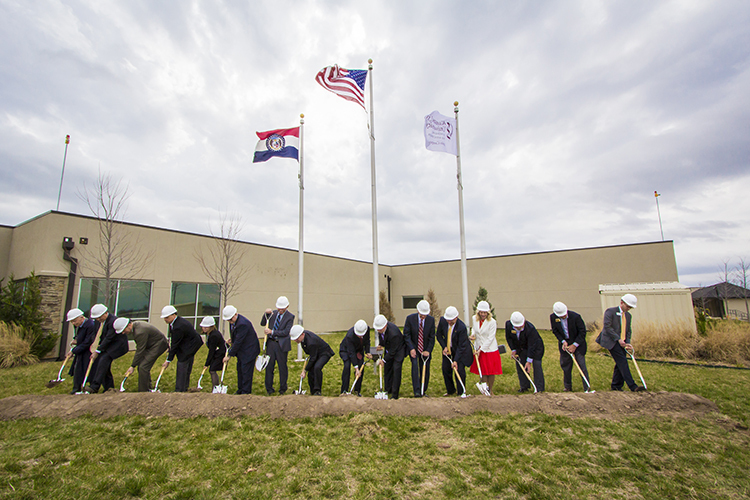 View photos from the groundbreaking ceremony and read a related article in the Kansas City Star.